You may have been pulled over for speeding at some point in your driving career. You could just pay the ticket or complete a traffic school course to reduce or avoid the fine. But what if you’ve been cited for a traffic violation and believe that the ticket was unjustified? You will need an experienced lawyer to help you navigate the legal process. Attorney Dean Phillips will fight for your rights. The above was just a small sampling of Georgia’s traffic regulations; however, the law also defines other infractions that are more serious. Some of the major violations include excessive speeding, racing, driving under the influence (DUI), and leaving the scene of an accident. Many of these can or automatically result in license suspension. Georgia maintains a point system that assigns a certain number of points to violations for which you’ve been convicted. For example, improper passing can add three points to your license while aggressive driving can result in six points. If you’re over the age of 21 and incur 15 or more points in 24 consecutive months, then your license could be suspended for a year. The penalties for younger drivers are less lenient. If you’re under the age of 18 and incur four or more points in a 12-month period, then you could lose your license for six months or more. If you’re between 18 and under 21 and are convicted of any violation of four or more points, then you can lose your license for six months. In addition to gaining points, you may also have to pay traffic fines. The courts often determine the fees, but Georgia law also mandates fines for certain offenses. For example, being convicted of a Super Speeder ticket will cost $200.00 in addition to any other traffic fines and court fees. If you don’t pay the ticket within 120 days, then your license will be suspended, adding another $50.00 for a reinstatement fee. Driving under the influence is even costlier. You could pay between $300.00 and $1, 000.00 for your first offense and between $1,000.00 and $5,000.00 for your third. These fines don’t include the expense of DUI courses or screening fees, extra penalties you may also incur. You may potentially save on insurance rates, keep your license, bypass traffic school, and avoid fines. Don’t fight your ticket without the experienced legal help of Attorney Dean Phillips. 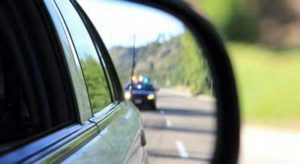 Attorney Phillips represents people with traffic violations in Marietta, Cobb County, Paulding County, Bartow County, Acworth, Austell, Powder Springs, Smyrna, Kennesaw and Woodstock. For a free attorney consultation on your traffic violaton case, call 770-415-0933.